Dr. Weckenbrock is a native of the Greater Cincinnati area. He obtained his medical degree from the University of Kentucky College Of Medicine in 1982. He completed specialty training in Family Practice from Union Hospital in Terre Haute, Indiana in 1985. He is board certified in Bariatric Medicine and retains his certification as a Family Physician and a Diplomat of the American Academy of Family Physicians. 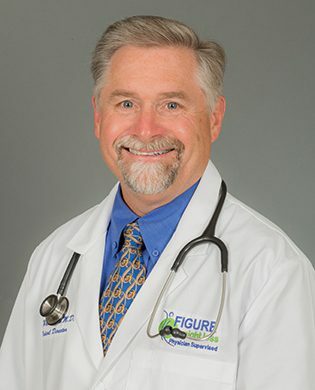 He has 26 years of private practice experience and is now the Medical Director of Figure Weight Loss. Dr. Weckenbrock is dedicated to helping patients succeed with their challenges of achieving sustainable weight loss. His concern for his patient’s health is evident through the ongoing counseling and support he provides them while they are on the Figure Weight Loss Program and beyond.